Hello! The high school nurses' clinic is staffed with two nurses, Holly Hubbell RN BSN and Cindy Seferian RN BSN. Forms are available on this website and additional information may be found under the various tabs. Our office hours are 8:15 am-4:20pm on school days and we often will answer email after hours. Feel free to stop by and discuss any health concerns you may have for your child. We want to partner with you to make sure all of their health needs are being met at school. 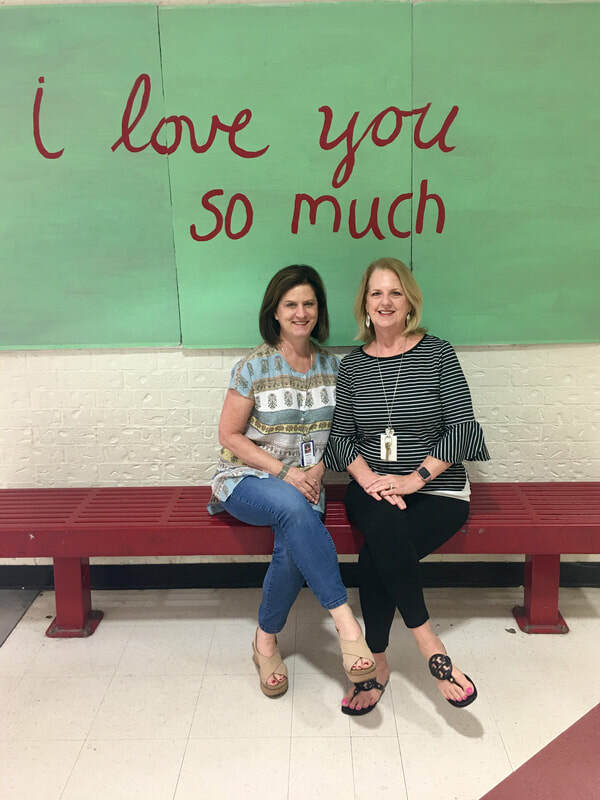 Holly Hubbell: Before starting at WHS 12 years ago, I was a Westlake mom and enjoyed volunteering on various projects as my children went though the Eanes schools. I graduated from Baylor University with a BS in Nursing and practiced for 14 years in the Emergency Department and Intensive Care. I have been married to Kirk for 37 years and have three grown children and a golden retriever named Murphy. We are expecting 2 grandbabies this year! I enjoy reading, traveling (especially to Paris! ), and spending time with my friends and family. I really enjoy working with teens and watching them mature from children to young adults. We desire to keep our students safe, healthy and foster independence as they prepare to go out into the world. 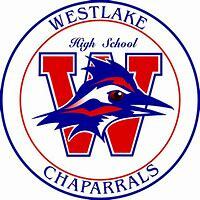 Cindy Seferian: I am very happy to be a part of the Health Care team at Westlake High School. I love living in Austin and enjoy the wonderful lifestyle of music and laid back living. My husband Ralph and I have 3 grown children and one spoiled poodle. I received my BSN from UTMB in Galveston. Most of my nursing career has been in pre and post surgical care. My goal as the WHS nurse is to care for the students and staff in a caring and professional manner. It is a pleasure getting to know your students each year. Please read the following and see if it answers your questions. If you still have questions, feel free to give us a call! The Westlake nurses take care of all the students at Westlake High School, including the 9th grade center, TLC and ATS. It is our desire to partner with the students, parents and staff to promote a healthy environment at WHS for each student. Parents, please communicate any health needs or concerns that you may have for your student such as severe allergies, medical conditions or anything else that we need to know. At WHS, students may carry over the counter medications (OTC) as long as they are in the original container. The nurses do NOT give out any OTC medications. We will allow and assist your student to call you to bring them medication if appropriate. ALL prescription medications must be given out through the nurses’ clinic. Parents need to sign a medication permission form and bring it and the prescription medication in the labeled bottle to the nurse. For students who need medication longer than two weeks, the form must be signed by a physician. You may read the EISD medication policy here. What about immunizations and related records? Immunization records will be updated throughout the school year. Families may view their child's shot records on Skyward Family Access. Many of the records that have been submitted over the summer will not be entered into the system yet, but we will have those entered during the first few weeks of school. We will look at ALL of the records before school starts to make sure that all students have the state required shots. You will be notified if something is missing. All students must be compliant with the state requirements. A waiver form from the health department is also acceptable. If you need to request an immunization record for college or camp, please give us some notice so we can have it ready for you. What do I do if my child becomes ill at school? They will need to come to the nurse. We will evaluate your child and call you if necessary. They should not call you and leave campus without signing out. Please list an emergency contact on Skyward for us to call if you are not available. My child has a life threatening allergy. What do parents need to do for the school? In the Eanes ISD, we take allergies seriously! Before school starts each year, we need to have the doctors' orders indicating the type of allergy and what to do in case of emergency. You may find that form on this site under forms. In the event that an allergy action plan has not been provided by the parent, the nurses will follow the Eanes standing orders and allergy plan. Students with a life threatening allergy should carry their own epinephrine injection device on their person at all times. They may also carry their own antihistamine as ordered. It is the student/parent responsibility to provide their own epinephrine. We also keep stock epinephrine in the nurses office in case of an emergency. Each year, teachers and staff are trained on signs and symptoms of an allergic response, prevention methods and proper administration of epinephrine. The students allergy is noted in Skyward for teachers to see. If there is an allergic reaction at school, we will notify the parents immediately. If we must give Epinephrine, please note that we will ALWAYS call 911 and then the parents. Please contact us if you have any questions or concerns. My child has a fever. When can they return to school? If your child has a fever (100 degrees or higher) or vomiting in the evening or morning before school, he/she should NOT come to school that day. If they develop a fever 100 degrees or higher during the school day, they will be sent home from school. They should not return until they are fever free for 24 hours without the use of a fever reducing medication such as aspirin, Tylenol or Advil. This policy supports the ill child and prevents unnecessary exposure of other students to illnesses. Please report communicable diseases (Example: chicken pox, measles, conjunctivitis, strep throat, Fifth’s Disease, Staph, Pertussis etc.) to the nurses’ office. What do I do if my child needs to be excused from PE/Athletics? You should write a note or send in a doctor’s note excusing them. All Physical Education excuses must be referred to the nurses’ office. Students that need to be excused from PE or athletics must bring a written excuse from a parent or physician to the nurses’ office and they will receive a note to give to their teacher. If your student is in WHS athletics, it is a good idea to communicate also with the athletic trainers. Where do I get an athletic physical form? You can obtain the form from the athletic trainers or on the athletic website. They should be turned into the trainers/coaches each year. We do not keep a copy of the physical forms in the clinic. What do I do if my child has a concussion? If your child is in WHS athletics, please report it to the athletic trainers. If they are in PE, band, dance or club sports or not in WHS UIL athletics, please report it to the nurses. We will work with them to make sure they are following their physician's orders and we will be a liaison between their teachers and physician. For additional information on concussion management at WHS click here. Feel free to call us for questions or concerns. We are happy to help in any way we can.